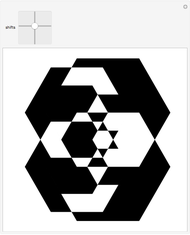 The hexagons are drawn between their inner and outer edges. 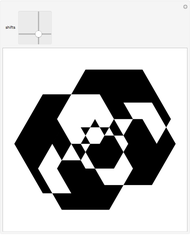 These shapes are combined into a self-intersecting polygon. 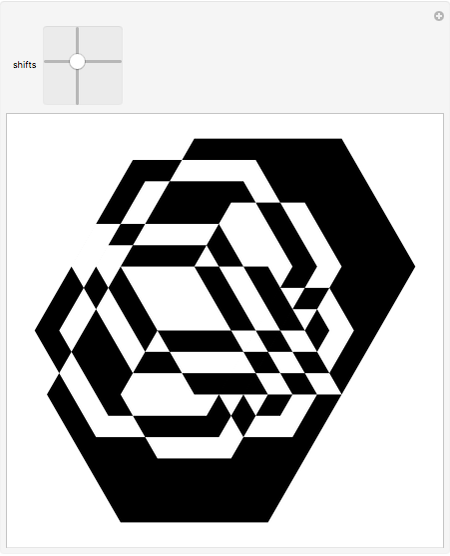 Move the six hexagons by their locators or shift their sequences of radii. Areas covered by an odd number of hexagons are black.